Fans of Sir Patrick Stewart are looking forward to his new series, which will be set after Star Trek: Nemesis. 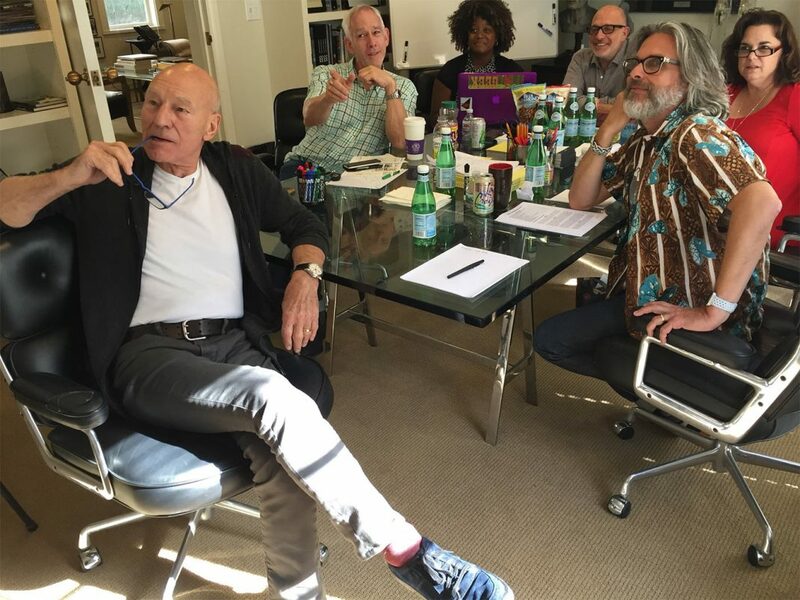 Stewart recently tweeted out a picture of the writer’s room, showing those involved with creating and writing the new series hard at work. Click on the thumbnail to the left to see the full-sized photo. 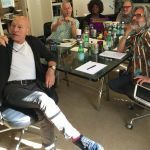 Included in the picture is Stewart, writer/executive producer James Duff, assistant Diandra Pendleton-Thompson, executive producer Akiva Goldsman, writer Kirsten Beyer, and writer/executive producer Michael Chabon. The new Picard series is expected to premiere next year.